The newest addition to our line of displays is quickly becoming a fan favorite! 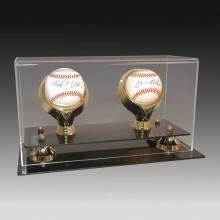 Check out our spectacular flame polished, archival baseball display. 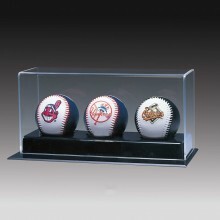 The Museum Edition all clear baseball display features a 3/8 thick bottom with a 1/4 top shelf. 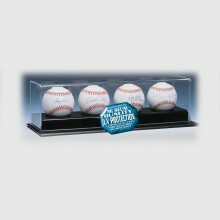 The ball is held in place with a 3/4 holder. Included is a 3 x 1 gravoply nameplate. Clear acrylic base and lid.